I have always tried to ensure that we place information here in Wednesfield North where Local Residents can read and avail themselves of the latest proposals. 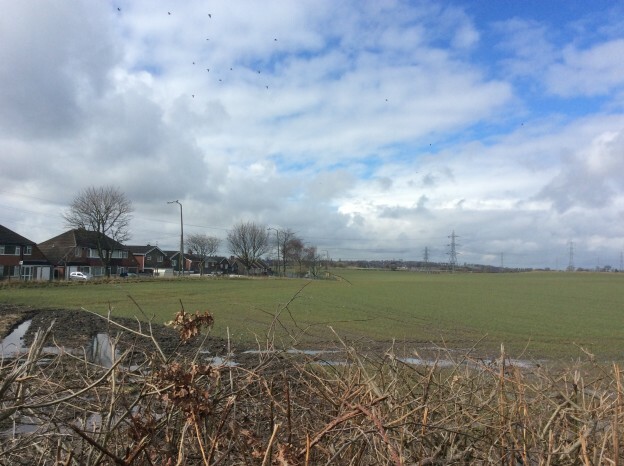 Last year on the 18th April 2018, I informed Wednesfield North residents of South Staffordshire plans that could lead to new homes being constructed on what is currently Green Belt land in South Staffordshire. This land is within the Staffordshire boundary, but fronting Kitchen Lane and Linthouse Lane. That message in April last year was primarily aimed at Wednesfield North constituents who have an interest, or who are interested in the announced proposal by developers to build 2,500 homes on what is current ‘Green Belt’ land within the Parish of Essington and within the District Boundary of South Staffordshire D.C.
At that time South Staffordshire District Council were still finalising work on their current Site Allocations document (SAD) but then they switched and began working on the review of their Local Plan. This document was to set out strategic growth options for South Staffordshire and consider what levels of growth can be accommodated. They further informed me that they were updating their Strategic Housing and Economic Land Availability Assessment (SHELAA) which will contain all the sites suggested to them (including Linthouse Lane) and this will be the starting point for site options. Wednesfield North City Councillors Mary Bateman, Phil Bateman, and Rita Potter have asked that their contact details be added to South Staffordshire District Councils Local Plan database, and that means that we will receive automatic updates on local planning matters. I went onto urge any of our Wednesfield North constituents or local residents in Wednesfield who wish to be added to the database, to do so, by sending their email address to localplans@sstaffs.gov.uk . Today the 11th March 2019 I have received the following information “The Black Country authorities and South Staffordshire commissioned a joint Green Belt Study. This Study is now well under way and should be finished by this Easter. South Staffordshire will use the results of this study, and other evidence they have commissioned separately, to select preferred sites for their next stage of consultation. Clearly there is still some work taking place, it is a real live issue. But the consultation has yet to start. I would urge local residents to email and ask that their names and interest are addressed when the South Staffordshire Plan starts to relate to proposals. The email address is localplans@sstaffs.gov.uk. This entry was posted in Latest News, News Page on 11th March 2019 by Phil Bateman.